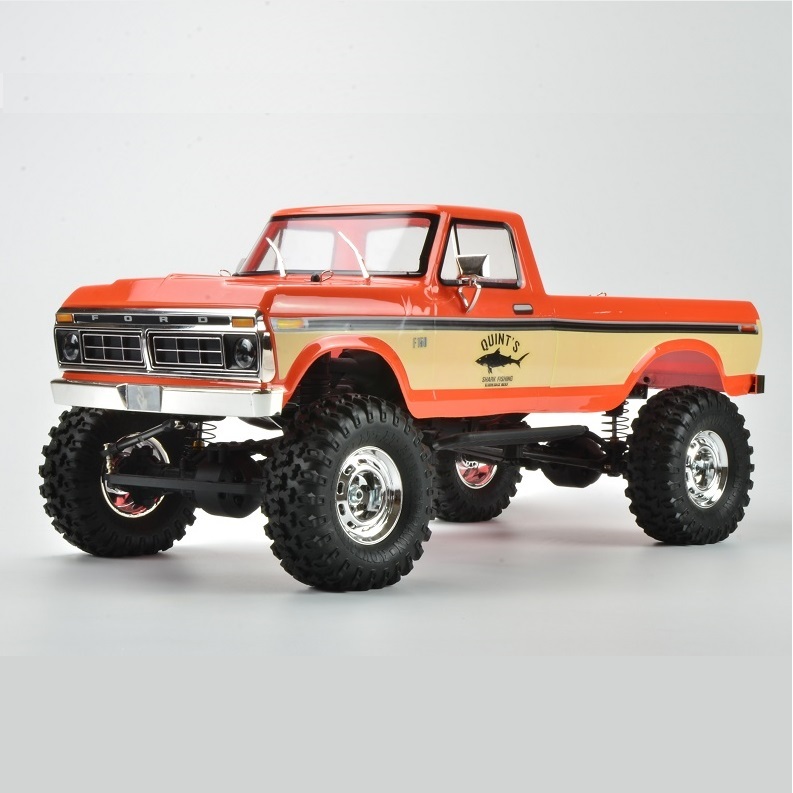 Introducing the new SCA-1E – 1976 Ford F-150 LWB 1/10th RTR truck!!! Carisma Scale Adventure are proud to announce the third RTR release in their global brand. brands ethos of producing products that offer Quality, Fun, Performance & Scale Realism have never been so relevant. centre of gravity issues associated with running a full hard bodied rig. The forward mounted battery position alters the weight-bias of the rig to improve its ability to ascend steep inclines and aid in Rock Crawling. The CMS (Chassis Mounted Servo), keeps the steering servo up high and out of view, cleaning up the look of the front axle and offering better scale realism. New true Beadlock 1.9 wheels are shod with soft compound All Terrain tyres, and allow for further adjustments in weight bias using stick on wheel weights. As with the Coyote and the LYNX ORV, this is just the starting point for as detailed, or as simple a build as you feel. experience the exiting world of Scale at whatever level you feel is best for you. scale accessories being released by both the brand itself and third party partners, it's never been a better time to start (or continue) your own, personal Scale Adventure. "1976 Was A Historic Year, 2018 Will Be Even Better!"